LIMITED STOCK ONLY. Supplied brand new. Conveniently extends your vehicles cigarette power source into a Quad Power Source - 3 x Power sockets plus a USB socket too. Longer 64cm cable length for passengers and back seat users too! For use with smart phones and mobile phones, SatNav and GPS units, CD players, computers, Audio and MP3 players, scanners, faxes, handheld lights etc. Also use to charge your Bluetooth speaker or headphones etc. USB Charging port included along with Triple Cigarette Lighter Sockets let you charge 4 devices at a time - great for busy device users and family trips etc. Red indicator lights up while charging. Works with 12V and 24V vehicle systems. Simply plug into your cigarette/cigar lighter or power outlet socket. Universally compatible. Every car should have one because finally the solution to charging multiple devices and gadgets in your car can now be solved thanks to this innovative new product. Converts single power output to triple power output. The 12V / 24V Triple Socket USB Car Cigarette Charger enables you to recharge gadgets such as your mobile phone, GPS / Sat-Nav's PDA, and MP3 simultaneously while driving. Designed with 3 car cigarette socket and one USB power port. Output: 12v 60w combined or 24v 120w combined. Our product reviews are gathered using an external feedback company. A few days after you place an order, you will be invited to leave a review on the items you have received. This ensures that all feedback is fair, and 100% reliable. We have 79 reviews for this product. Great gadget for car can now successfully charge everything at once Excellent as usual - I always buy from 7 day shop batteries and gadgets are always top quality with swift delivery. Good well made product and quite compact. Happy customer - Items as described and really good value. Very good value would buy again. Excellent service . 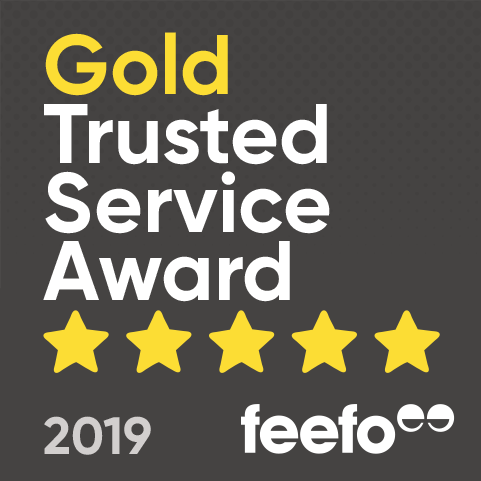 - I was very happy with the service, the extension arrived on time and I contracted the customers help , they were very good and solved my problem efficiently. Would buy again. The USB socket would not charge my Samsung phone on both the original product supplied or its' replacement. Good prices, speedy delivery and great customer service should you need support. Great product - fantastic value Good price, quick delivery and easy process for payment! Nice item. Easy to fit and very useful. Ordered, items delivered quickly, Can't fault the service. Excellent service as always Does what it says on the label. exactly what I needed excellent! good value products and fast delivery. recommended. See Part 1 Happy with product. The product arrived on the time expected and fitted the car's ash tray neatly. All 4 sockets fitted together and I had no problems with the unit. The 'loose' wired feeder socket is a great idea. Happy. Perfect for running Sat Nav and phone from single socket in car. Will be used when camping to power up several items from a leisure battery. Useful for connecting several devices, I use it for the navigation device and the phone. Good quality. Very versatile connection. Really helped my problem. 5*****. I have bought 2 of these - one for the boat and one for the car. They both work well, especially with the Hama Extension Cable for Car Cigarette Lighter. I checked out the price of these online and 7dayshop were the best value. I connect 2 mobile phones a satnav and have yet to try my ipod. I have found the quality to be very good and recommend this item to anyone who needs multiple connections. Unusual item but will be very useful for charging my phone etc while travelling. Good solid connections - thanks. This device is worryingly cheap, but it certainly seems to do the job. I'm not sure I would have much call to use the USB port, but it's very handy to be able to run satnav, phone charger and DVD player (in the rear!) all together. Product will be used on my boat, which is 12V throughout, but I need something to charge through a USB. Excellent for long periods in a van with lots of people needing charge. cable needs to be 50 cms. longer to make this product 5 stars . Works great. I'm just in the process of making a bracket so i can mount it properly on the car. 3 ports and a USB, you can't go wrong. Very good for the price i paid and im very happy that i can have this adapter doing its job. Love this product as I sometimes struggle when I have two or more things to charge in the car. Had been searching for a multiple 12v car lighter socket, but wanted one which would sit out of the way in the glove compartment. This fitted the bill. Well made, handy extra USB socket, very useful. Haven't actually used it yet, but looks and feels robust enough for it's purpose. I bought this item to run both my Sat Nav and Apple Ipod. The USB input could also have been used to charge my Smartphone. Great buy and Great price. Does the job really well, and the speedy delivery was a bonus. Kids can now charge ipods at the same time on long car journeys, and the extra cable length means that they can play in the back whilst the charger is plugged in in the front of the car. A great gadget at a great price! It is used by service engineers on the road that need to charge mobile phones, sat navs, chip and pin and PDA. Just does what is sais on the packaging.